Graphic Arts & Imaging students work with a multitude of projects in this two-year program, which is associated with Visual Communications degrees at the college level. Projects include drawing/illustration, Design for print production, digital output, bindery operations, website design, computer animation, digital photography, video production and editing, and PDF work flow. Projects like newsletters, logos, brochures as well as many other business marketing tools are produced in this program. 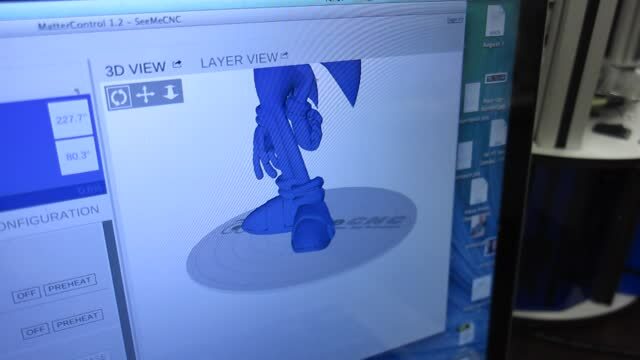 The program uses state-of-the-art software such as Photoshop, Illustrator, InDesign, Flash & Premier. Wide format printing and Screen Printing are also offered. The program outputs files with a 100% digital printing system, which includes wide format printing. 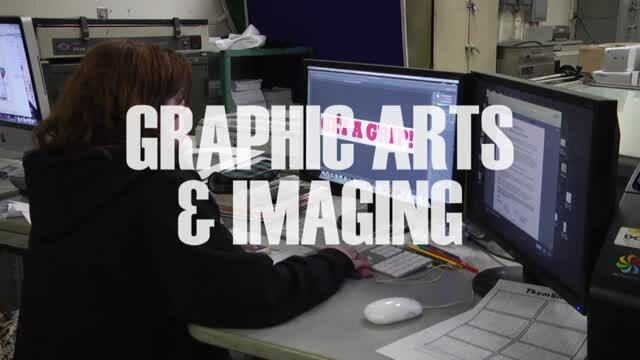 The Graphic Arts & Imaging Program offers articulated credits and cTag credit with schools that align with our curriculum. There are opportunities for students to earn up to 21 credits in Visual Communications, Printing Technologies, and Print Management. Students who qualify earn a $3,000 scholarship to Sinclair Community College. Students have the opportunity to work/intern in many area printing/design facilities in paid and unpaid positions. Seniors may be eligible for early job placement in the second half of the school year. Students have opportunities for college visits and job shadow experiences. Students in Graphic Arts & Imaging participate in SkillsUSA, a partnership of students, teachers and industry working together to ensure America has a skilled workforce. All students also have the opportunity to participate in the Tech Prep Showcase through the Miami Valley Tech Prep Consortium. Contact Instructor Howard Norris at 513-932-5677 ext. 5286 or howard.norris@mywccc.org.